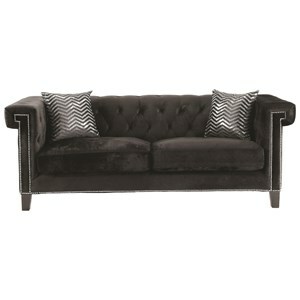 This stylish loveseat will be a fabulous and comfortable addition to your home. 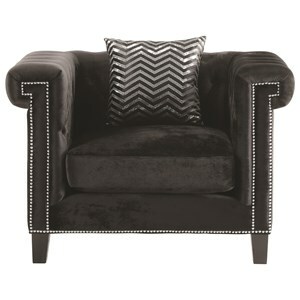 The loveseat has a glamorous black velvet fabric accented by nailhead trim inspired by a Greek key. 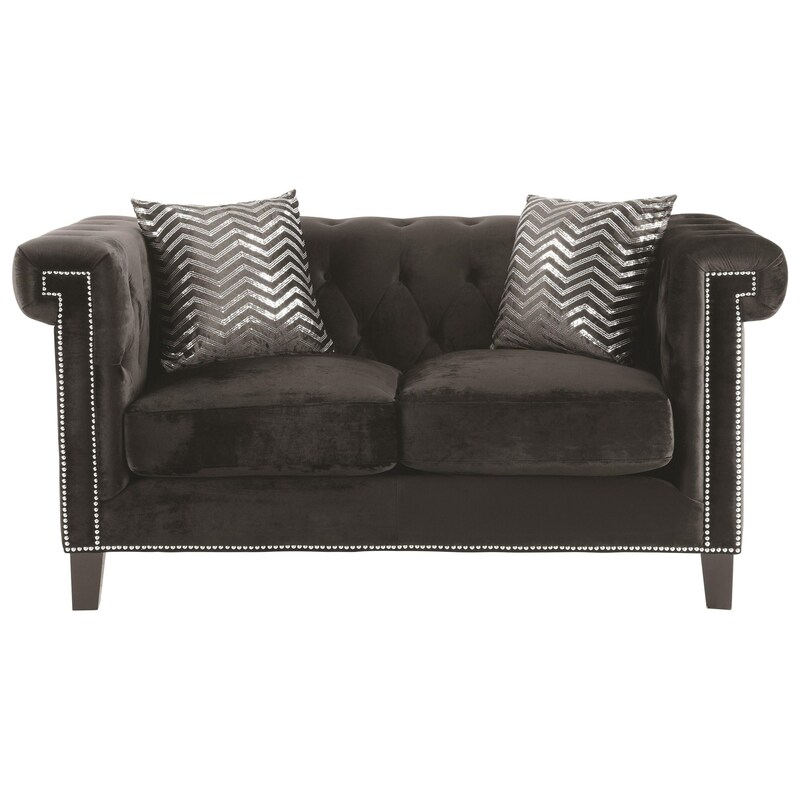 The back cushions are adorned with diamond button tufting that continues around the curve of the arms. The cushions for this loveseat are reversible and includes two accent pillows. The Reventlow Loveseat with Greek Key Nailhead Trim Design by Coaster at Value City Furniture in the New Jersey, NJ, Staten Island, Hoboken area. Product availability may vary. Contact us for the most current availability on this product.